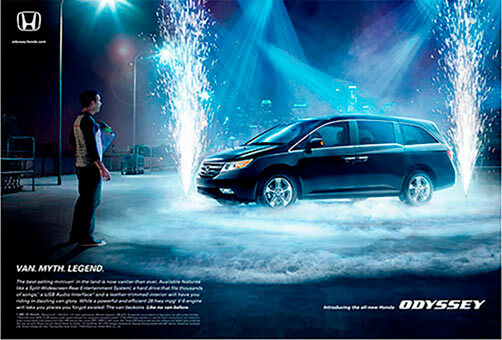 Fulvio shot in Los Angeles a campaign for the launch of the new Honda Odyssay. He shot the “special effect” both on stage and outdoor and the cars in outdoor locations. Agency: RPA USA. ACD: Laura Hausemann. SAD Hobart Birmingham, Steve Chow. Art Buyer: Ginnie Assenza.